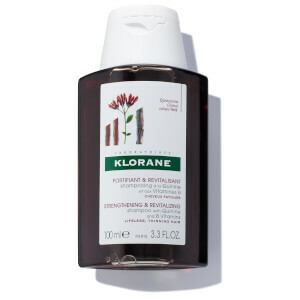 Klorane shampoo with flax fiber adds volume and texture to fine, limp hair. This lightweight silicone-free shampoo washes and detangles without weighing hair down. Perfectly textured and protected, hair has full volume that is supple and light. Dermatologically tested, Silicone-free, Paraben-free, Biodegradable formula. Apply to wet hair. Work into a lather and rinse. Water (Aqua), Sodium Laureth Sulfate, Sodium Cocoamphoacetate, Ceteareth-60 Myristyl Glycol, Sodium Laureth-8 Sulfate, Blue 1 (CI42090), Citric Acid, Ext. Violet 2 (CI 60730), Fragrance (Parfum), Limonene, Linum Usitatissimum (Linseed) Seed Extract (Linum Usitatissimum Seed Extract), Magnesium Laureth Sulfate, Magnesium Laureth-8 Sulfate, Magnesium Oleth Sulfate, Phenoxyethanol, Propylene Glycol, Sodium Benzoate, Sodium Chloride, Sodium Oleth Sulfate, Trisodium Ethylenediamine Disuccinate. 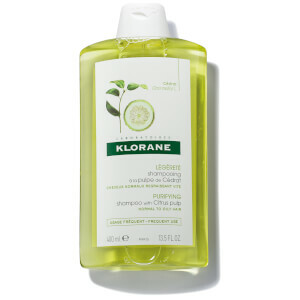 KLORANE Shampoo with Quinine and B Vitamins - 3.38 fl. oz.